The house is located on a 2,000 m2 natural property (fully fenced in, ideal for dog owners) and has a wonderful atmosphere for those seeking rest and relaxation. Swimming: stone, gravel or sandy beaches in the immediate vicinity (can be reached by car in just 5 to 15 minutes). Shopping and small trattorias nearby. 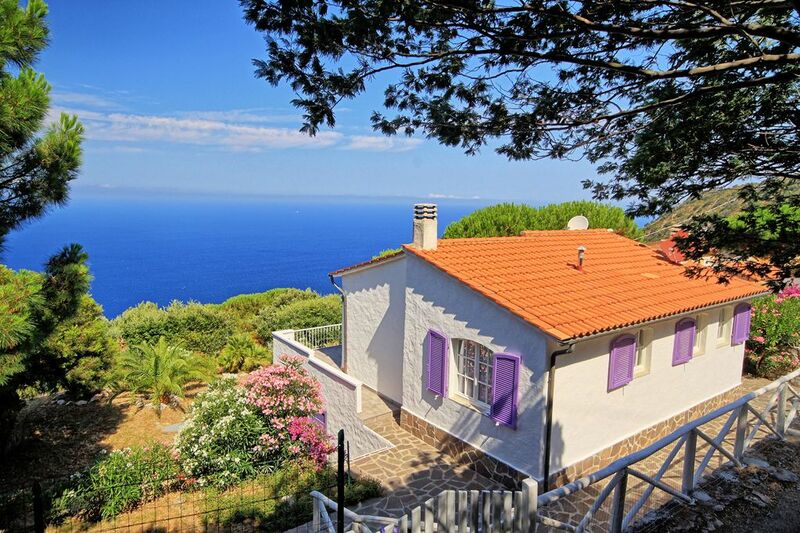 On the picturesque west coast of the island on a stone cliff high above the sea with a view of Corsica. Between the towns of Chiessi and St. Andrea.